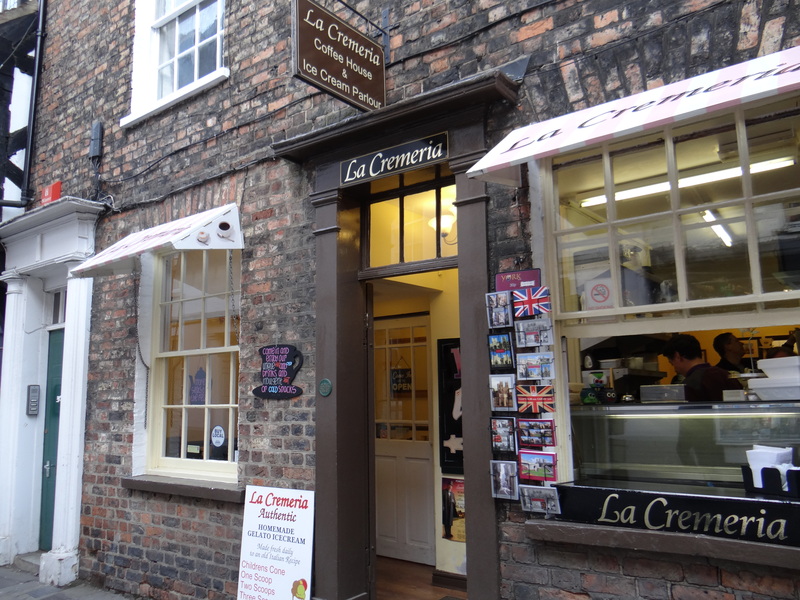 Rob the kids and I walked to High Petergate and stumbled across the most amazing find, La Cremeria. Tucked away along this ancient road is a most magical ice cream shop. Owner and chief chef Mark Shenton begins his days very early crafting the most delicious and unusual blends of ice cream. He suggested a few of his most popular blends to us. I chose the Earl Grey and Lemon blend. 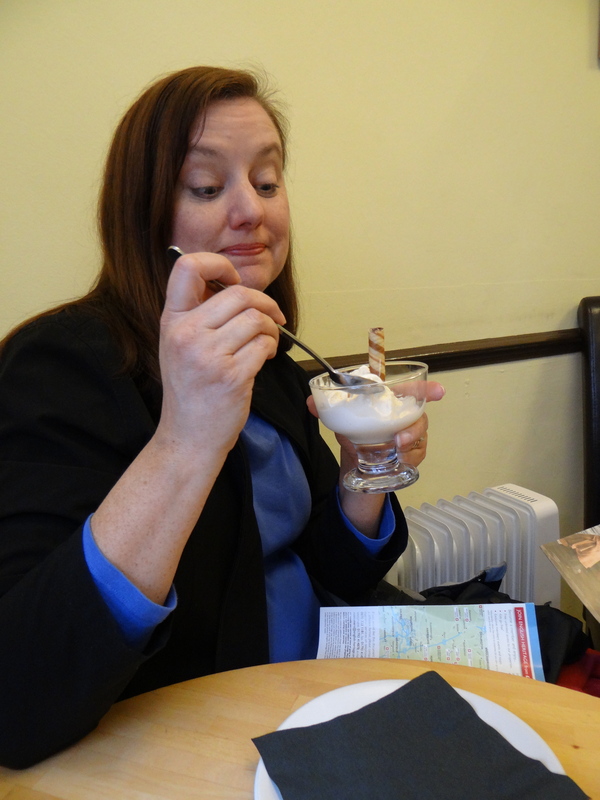 I love Earl Grey Tea and this ice cream was surprising, refreshing and very creamy. Rob had Toffee ice cream and the kids (less adventurous) chose Chocolate and Vanilla. Mark brought around a few more samples for us to try since we were so excited about these blends. We tried Apple, Peach and Bramble. The Apple tasted like all the flavours from a Dutch Apple Pie had been squeezed into one flavourful burst and magically turned into ice cream. Meg tried the Peach and said It had such an authentic taste that summer time pictures ran through her head after tasting it. The list goes on and on. I must say even if the name sounds unusual you must try a taste because his flavour combinations are just unbelievable. Mark specialises in homemade ice cream, hand crafted cakes, gluten-free foods and freshly ground coffee. La Cremeria has grown in popularity so much that they are building another restaurant nearby. There they will have four floors, two of which will be restaurant. It will, of course, host an ice cream parlour as well. Mark will have more space to further develop specialty ice cream cakes. 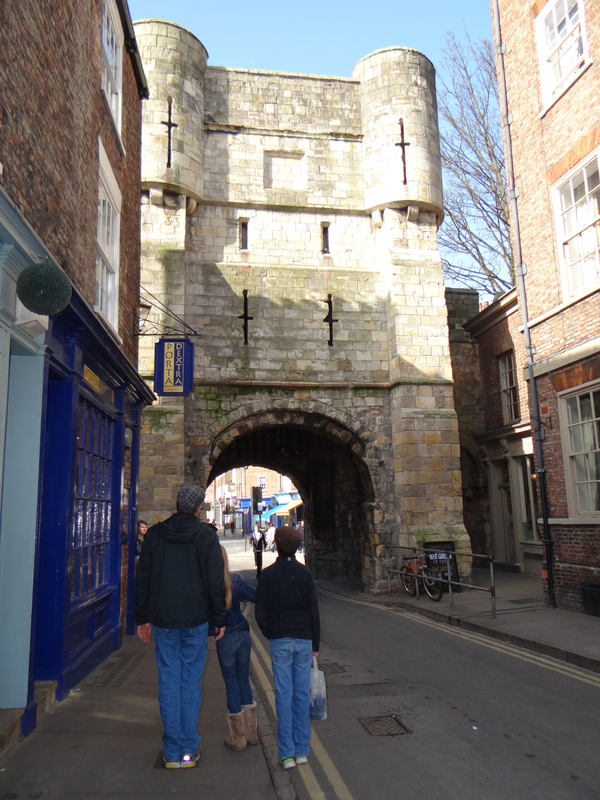 We can not wait for our next trip to neighbouring York to see what flavour the day holds.